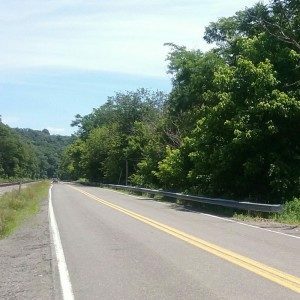 Pennsylvania is one of the states on the East Coast with many Sasquatch sightings and reports, as well as other strange activity. During investigations of this anomalous area with colleagues, dubbed “The Pennsylvania Triangle Case”, interviews were conducted with three generations living on the same property experiencing both visual sightings of Sasquatch as well as strange noises and activity. These are minimally edited long form interviews with these folks with interesting stories to tell. Very cool. I almost wonder if they make those hen noises in an attempt to lure out these people to go looking for one of their “lost hens”. It’s definitely another good possibility and I think it’s likely more accurate that they are covering up the sound their steps make with the hen sounds. Thank you! A very brave family to share their stories. I really enjoyed what they had to say. Good interview. These people are quite intelligent and well spoken. They even clarified the difference between a bear(which the general media always alludes to) to actually what we can relate to. Scary existence. Great interview. Could have done without the creepy music. It just detracts from the overall quality and is totally unnecessary. I don’t understand why the makers feel the need to do this. Enjoyed this interview! Thx, Wes! Love these type of interviews.thank you Wes.